R1986, Robert Raabe. A saturated mid-blue with blue styles with a cream rib. 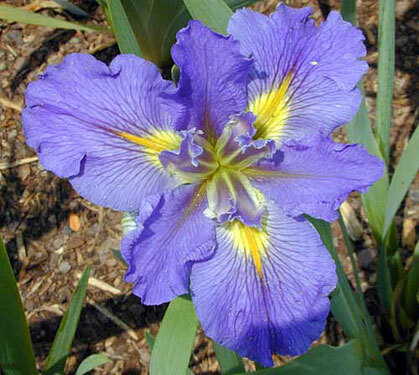 One of the clearest, brightest of the few true blue irises. Vigorous. Grows 33 inches and blooms midseason. Bethany Douglas x (Clara Goula x Gatewood Princess).